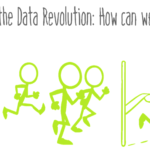 Can your data model (Power Pivot or Power BI) easily be used by 100s of users? Is your model fairly intuitive to understand for the end-user even with little or no training? Usability may be the key to achieving the Self-Service BI nirvana. I learnt my lesson the hard way. The one-audience data model was filled with oddities that was not always easy for end users to understand. I ended up doing a lot of video tutorials (now you know how I got good at video , check out our YouTube channel). Now when I design a model for any client, I design with usability in mind. Such that perhaps not right away, but at some point 100s of users can use the BI Model for Self-Service BI. They can easily navigate the model to create their own Reports and Dashboards (in Excel or Power BI). I use a few techniques when designing for usability; good Data Modeling (star schema), naming conventions, use of Perspectives, automated Data Dictionary (documentation) are some that I lean on. In this blog post, I would illustrate one scenario where, some would argue I go to great lengths to make the model more usable. As you will realize, it is well worth it. GOAL: Out goal is to combine two data tables – Sales and Budget – which are at varying granularity, but without the use of a an extra lookup table. In our book, Chapter 18 Multiple Data Tables – Differing Granularity, we show how you can combine Data Tables of differing granularity. (You have a copy of our book, right? 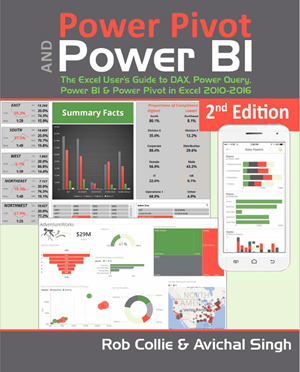 Hmmm…why would you wait to buy the #1 bestselling Power BI book on the market, Carpe diem my friend!). You would encounter this pattern frequently when working with real world data sets – Data tables of differing granularity. And the book already shows you how to solve this using a shared Lookup table. You would encounter this pattern frequently when working with real world data sets – Data tables of differing granularity. (Data modeling best practices are sprinkled throughout our book. 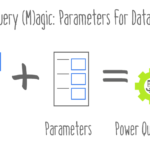 I also wrote an article which summarizes the key best practices: Data Modeling for Power Pivot and Power BI). Performance: Having a cascading Lookup table (SubCategory) with just one or two columns is generally inefficient. But performance is not our main criteria here. Usability: With the Classic solution, you end up with the “SubCategory” column in two places – in Products table and SubCategory table. And users are expected to remember to use the right SubCategory column. If you or any user using the model to create Pivots/Reports uses the Category/SubCategory from the “wrong” table, then they can get unexpected results (see image below). You could hide the Category/SubCategory columns from the Product table, but that only feels like a hack. – For users that do not care about [Budget] table and would never use those measures, this feels like an additional burden for them to find the Category/SubCategory in a separate table. Here is how we can go about combining the Products and the newly created SubCategory table for a more usable and elegant solution. 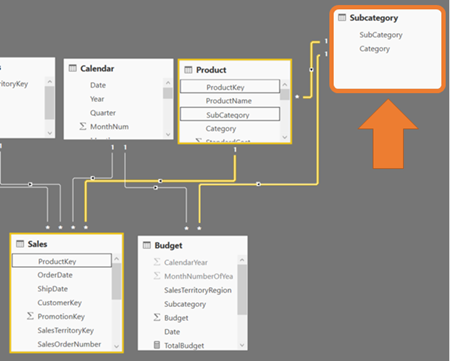 I have highlighted the key steps, you can examine the solution file to go step by step in the Power BI Query. Note: Don’t be scared of the M code, 99% of these steps were generated using the Query ribbon – I have included those screenshots as well. This is so far identical to how we built the SubCategory Lookup Table in the classic solution. In the new appended table, the ProductKey is null for all rows coming from the SubCategory table. This won’t do for a Lookup table (key used to create relationship cannot contain null values), thus we create a new key column. Now we have a unique key for our appended table. All that’s left is to go back to our Data tables – Sales and Budget, and update those to use the NewProductKey. The steps below are for updating Sales table; Budget table would be updated on similar lines to add the NewProductKey. BONUS CHALLENGE: You can try generating NewProductKey in such a way that the Sales table would not need to be updated with a New Product Key. You would only need to worry about the Budget table. I can think of a few ways to accomplish that. Up for the challenge? Modify our provided file and post a link to your solution file in comments. Next, you can link both the Sales and Budget data table to our new Products table using the NewProductKey column! We do not need to worry about using the right table for the right occasion (based on the measures being used). Furthermore, the Category, SubCategory fields – which are Product attributes – are found in the Products table, which would make more intuitive sense for end users. The differing granularity problem not only occurs when multiple data tables are involved (e.g. Sales and Budget), but can also occur within a single data table. For example, Sales can record transactions at different grain of Geography (Territories table in our model). Some Sales transactions at a higher granularity (e.g. Country). This can occur in a scenario where the deal was made, let’s say with the Government of a Country. Then ‘Country’ is the only level of information available. This can be addressed using a similar approach as outlined above to build a Geography/Territory lookup table at a different grain. If interested in such a problem, leave us a comment and we’ll try to cover this in a follow up blog post. Avi Singh has personally experienced the transformation and empowerment that Power BI can bring - going from an Excel user to building large scale Power BI solutions. His mission now is to share the knowledge about Power Pivot and Power BI. this is a very interesting approach. Basically introducing a completely new type of dimension table: Unambiguousness only through the new “technical” key (as we’ve now a couple of null-values in the “native” key of the product table). So instead of creating a new key(-column) why not just adding the new keys from the Budget/subcategory into the existing key-column (say with a leading “s” or so to maintain uniqueness). That way you wouldn’t have to change the existing connections from your Sales table but just have to connect your Budget table to the new values. Why such an elaborate ETL design? Keep the snowflake model and hide the SubCategory table from the user. In essense the relation between Product and Budget is a many-to-many with SubCategory being the bridge table. So all budget related measures just have to include this table in a CALCULATETABLE statement. For ease of use you can denormalize the Category column into either Product and/or Budget table using Calulated column with RELATED() statement. It will then not matter which on is being used by the user if the Bridge table is in all of the Budget measures (and possibly Sales measures). Thanks for sharing this Avi! After seeing this at PASS, now it makes a lot of sense! Appreciate all the screenshots and use of the GUI to generate the M code. Very creative thinking actually. Thanks for sharing. + 1 in my bags of tricks. How do you manage the data in the budget table to reflect NewProductKey, i.e. how do you assign the values 607, 608, etc. for NewProductKey as a foreign key to all rows in the budget table (that currently only have SubCategory as an attribute)? Expanding on ImkeF’s post, why not use the distinct values of SubCategory in the Budget table as the ProductKey in Products (a data type change might be required for that column) – that way no change would be required apart from appending the rows for each SubCategory in Budget to Products and joining the Budget table to Products … ? I would suggest a solution using a many-to-many design pattern with the SubCategory being filtered “upwards” by the Product table. – Hide SubCategory table from report view. No “hard” ETL design – a simple snowflake schema – but without the clutterer from the SubCategory table. Budgets are created and exist at the intersection of Department and Account. Could you help illustrate how one might structure the data tables to arrive at similarly elegant solution? The existing example works well when there is only one entity without any departments but in practice I believe it is more common to see budgets created and pushed down to the “department.account” level.